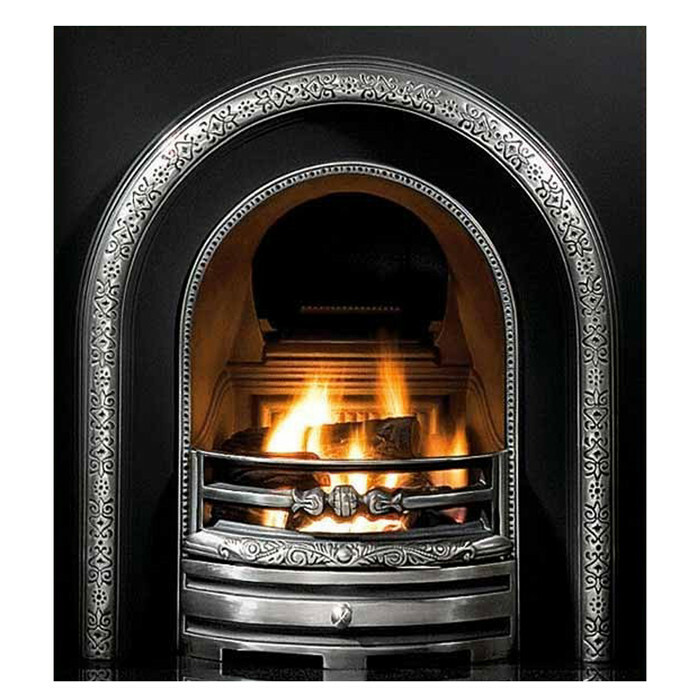 The PureGlow Wenlock Agean Limestone Surround with Jubilee Highlighted Cast Iron Arch consists of the 56” Wenlock Agean limestone mantel, Jubilee cast iron arched insert with cast back, 54" x 15" black granite hearth and optional gas fire or electric fire. 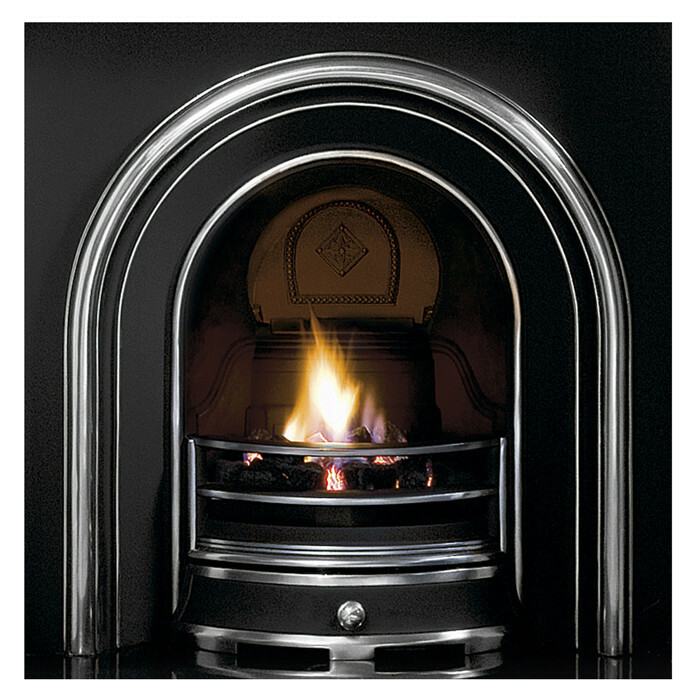 Inspired by mid Victorian fireplaces, the Jubilee cast iron insert has a narrow fire chamber in a simple, versatile design. The Jubilee arch is made from solid cast iron, with the finishing processes being carried by highly trained craftsmen. The Wenlock Agean limestome mantel is traditional in style, with a cushion frieze and bolection moulding. 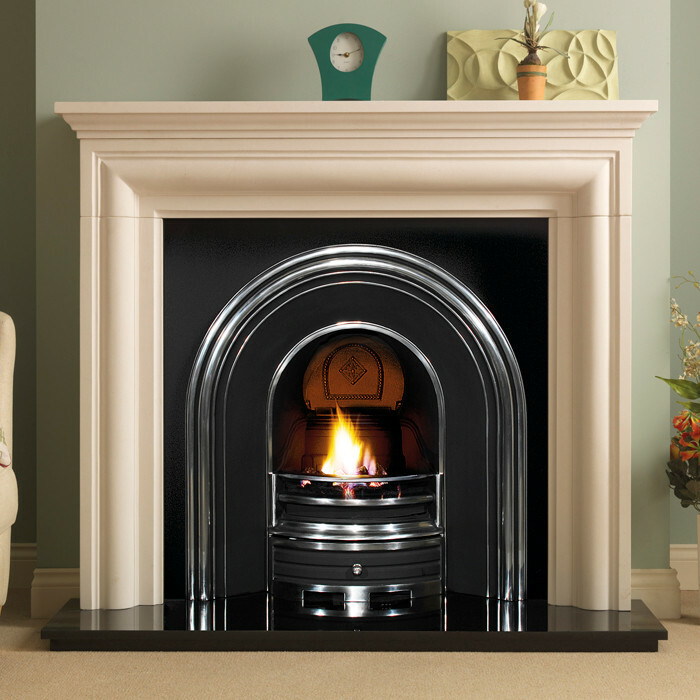 The PureGlow Wenlock fire surround is made from Agean limestone. Agean limestone pre-sealed and manufactured from 100% natural material, and each one is unique due to variations in fossil formation, veining and colour.